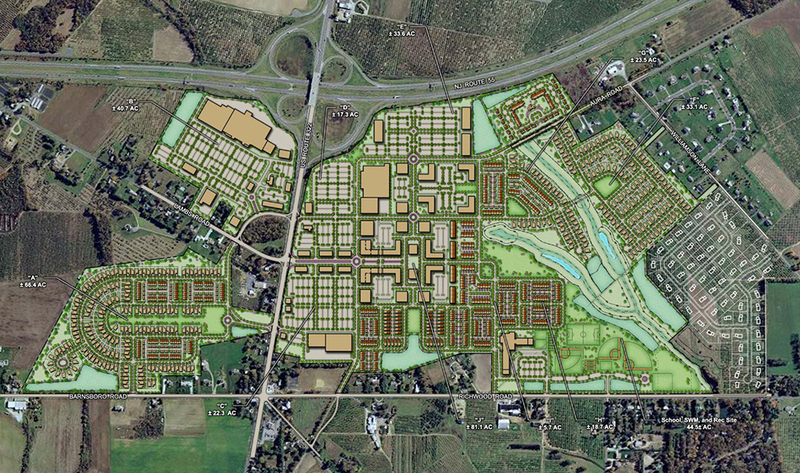 Urban and Land Planning | Morris & Ritchie Associates, Inc.
Our land planners, landscape architects, engineers, and architects work hand-in-hand to create innovative and functional solutions for residential, commercial, industrial, and institutional projects. The principles of sound planning are the same regardless of the properties location – urban, suburban, or rural. A thorough understanding of the site, surrounding context, regulatory environment and development program are essential in creating lasting memorable places. At MRA, our planners understand these principles and apply them to every assignment. But, we also understand the engineering realities of land development, which differentiates our plans from our competition. This engineering “reality check” means our plans are not only sound and memorable, but they are cost-effective and implementable. MRA participated with Englewood Development in this new eight-story, 157,500-SF, 208-key hotel / mixed-use project with a 60-car valet garage on its second level. 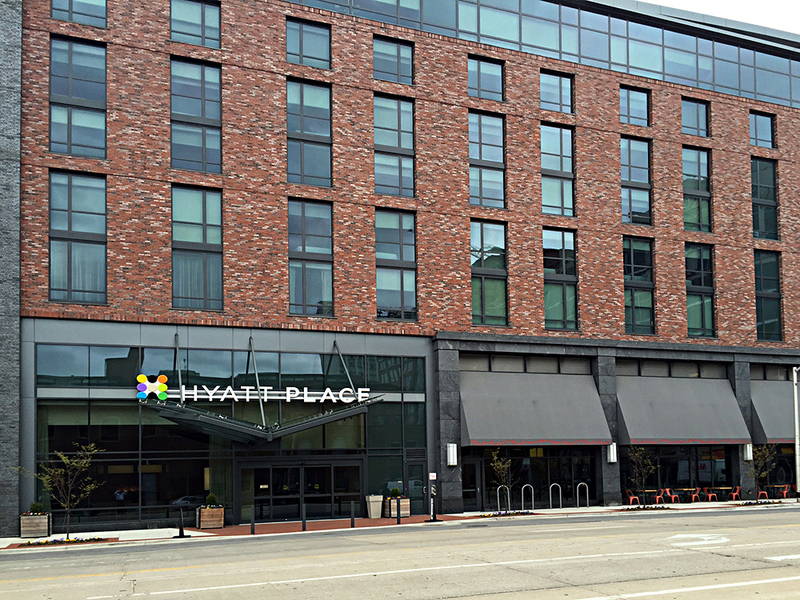 Located at 511 South Central Avenue, in the heart of Harbor East, this project includes casual dining establishments in the 14,000 SF of street-level retail along Fleet Street. Streetscape improvements were provided along S. Central Avenue and Fleet Street. Outdoor seating for several of the dining establishments has also been provided, creating a lively corner in a growing area of the City. MRA provided urban design, surveying, civil engineering, landscape architecture, and green roof design for this project. The 10,000 SF of green roof fulfilled all of the stormwater management and Chesapeake Bay Critical Area water quality treatment requirements, while providing a pleasant viewing area for the Hotel’s amenity spaces. MRA assisted the development team with the entitlement process through the City of Baltimore’s Site Plan Review, Storm water, and Developer Agreement processes. Civil design included the establishment of site grades and building elevations, sediment control, underground SWM design, utility and storm drain design, and road design including street reconstruction and resurfacing. New sidewalks, new drive entrances, streetscape design, ADA pedestrian facilities, street lighting, traffic control plans, parking space marking, and water & sewer hookup design were also provided. The project included design of an electric duct bank to provide BGE services to the building, along with relocation of existing transformers and switchgear to an offsite location. 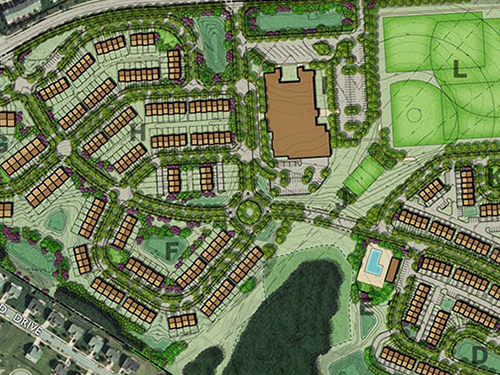 Working closely with the Beazer Homes development team, MRA provided site planning, engineering, and public facilitation services for Ballard Green, a 105-acre, 521-home mixed-use community located in the heart of Owings Mills Town Center in Baltimore County, Maryland. When the development team began this assignment, the surrounding community had actively opposed prior proposals for the property. After establishing a new and consistent dialogue with all interested parties, our development team turned opposition into support. It took only one year from being designated a PUD by the County Council to receiving Development Plan approval from all Baltimore County approval agencies, a new benchmark for success. Throughout that year, the development team held monthly “open forums” at a local community center where any interested party could come, hear what was being proposed, ask questions, and expect answers, establishing a new standard for community participation. 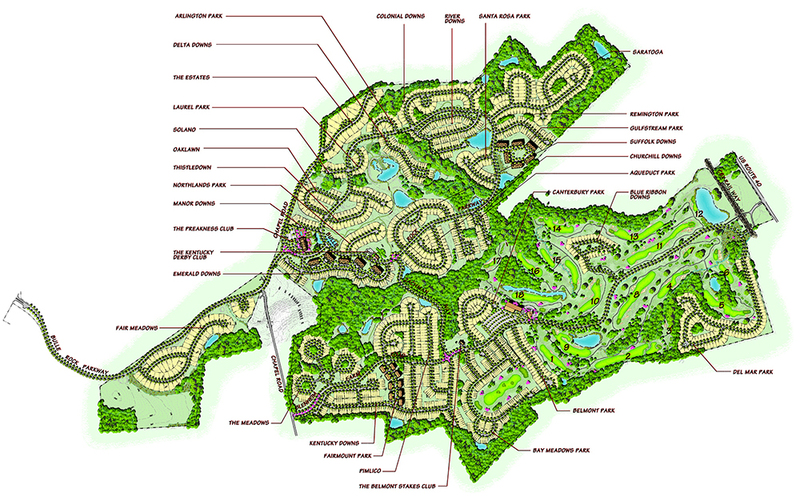 The site plan centers around a new elementary school planned in the center of the property along Lyon’s Mill Road. On the east side of the school are three traditional neighborhoods with rear car garage townhomes of various sizes. On the west side of the school are three contemporary neighborhoods with front garage townhomes of various sizes. At the intersection of Lyons Mill Road and Owings Mill Boulevard is a multi-family neighborhood that is centered on the historic Plinlimmon Farmstead. MRA worked with the Baltimore County Landmark Preservation Commission in evaluating the historic resources, visiting the site, discussing alternative solutions, and developing an overall plan for the preservation of the historic buildings and surrounding grounds. Finally, a community center is planned south of the school, easy walking distance to all the proposed residences. This project is an excellent example of infill development in an established community and community participation in the land development process. Madison Marquette and Canuso Communities have teamed up to develop Richwood, a 370+/- acre community that includes over 1,200 homes and up to 1.2 million SF of retail and office space. MRA is working hand in hand with the Madison/Canuso partnership in developing the overall master plan and securing the necessary regulatory entitlements. Several innovative ideas have been incorporated into the master plan that will help consumers maximize livability, while minimizing costs. These include creating a partnership with the local school district, focusing on sustainability for both the development and buildings, and providing amenities that all can enjoy for little to no cost. Collectively these elements will provide Richwood with a strategic market advantage to attract buyers and tenants. Richwood has incorporated several green and sustainable development principles from the outset of the planning process. 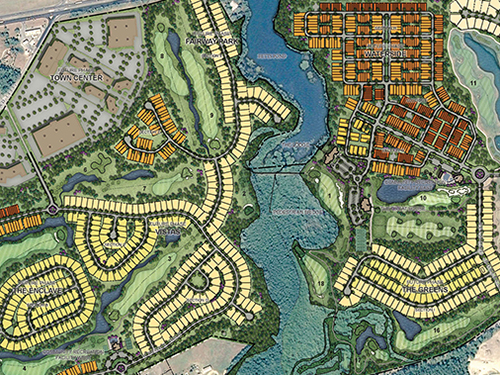 Beginning with the density of the development, with 1,200 homes and over 1 million square feet of non-residential space on +/- 370 acres, the property is being effectively utilized for the growing populace of the Country, the greater Philadelphia region, and the Harrison Township market place. 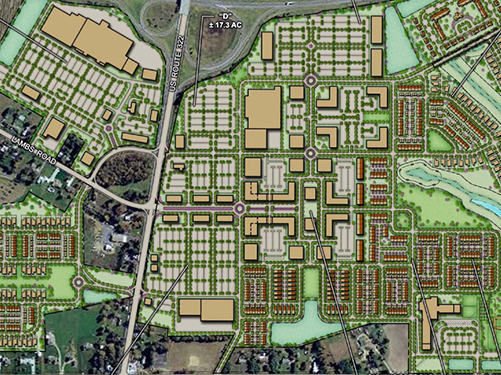 Next, the master plan is based on traditional neighborhood planning principles with an interconnected street network that ties all of the uses together in a walkable community. Finally, both LEED New Construction and the new Homebuilders ANSI standards are being considered for all new vertical (building) construction. 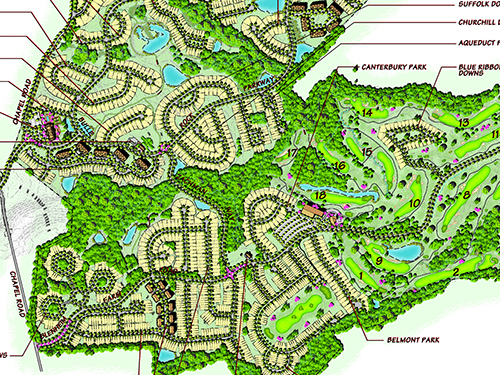 MRA prepared an overall master plan, detailed site plans for each residential/ business neighborhood, and the community-wide amenity package for this award-winning residential community. MRA also assisted the development team in annexing the property into the City of Havre de Grace, prepared all of the detailed engineering and subdivision plans for submission to the City, and continues to assist in the implementation of each part of this award-winning community containing 927 single-family detached homes, 789 single-family attached homes, and 402 condominium units on 977 acres. 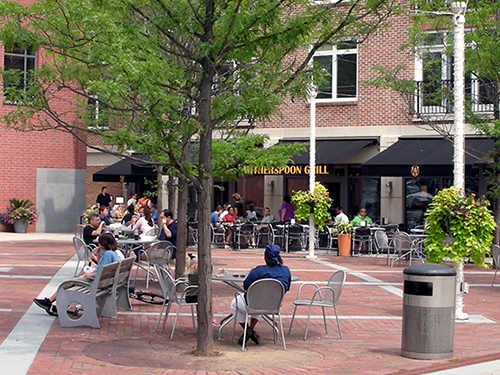 Working with both the Borough of Princeton and Nassau/HKT Associates, MRA played a key role in the implementation of the Princeton Redevelopment Project. MRA services included site planning, public facilitation, and design and engineering coordination. The two-acre redevelopment site is strategically located in the heart of Princeton on Wither-spoon Street, one block north of the Princeton University campus. Formerly a public parking lot, the Borough had the vision to designate the site “in need of redevelopment” and solicit bids from private development firms to join with them in creating a new public town center. The development program includes 77 residential apartments, over 16,000 SF of commercial retail space, a 500-car public parking garage, and a 15,000-SF public plaza. 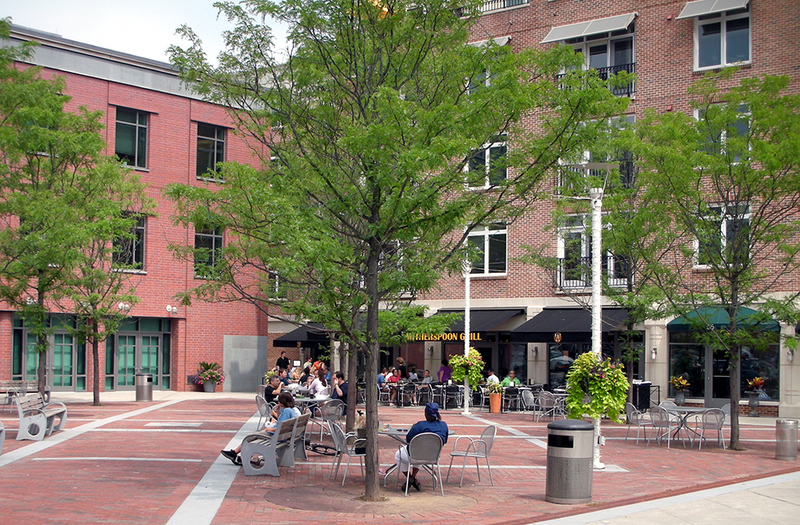 The site plan, architecture, and landscape architecture had to be planned in coordination with a new public library, which anchors one of the three sides of the public plaza. In addition, the collective redevelopment project had to reflect the eclectic nature of Princeton’s urban fabric. This redevelopment project serves as an excellent example of public/private partnership in redeveloping an under-utilized real estate resource. 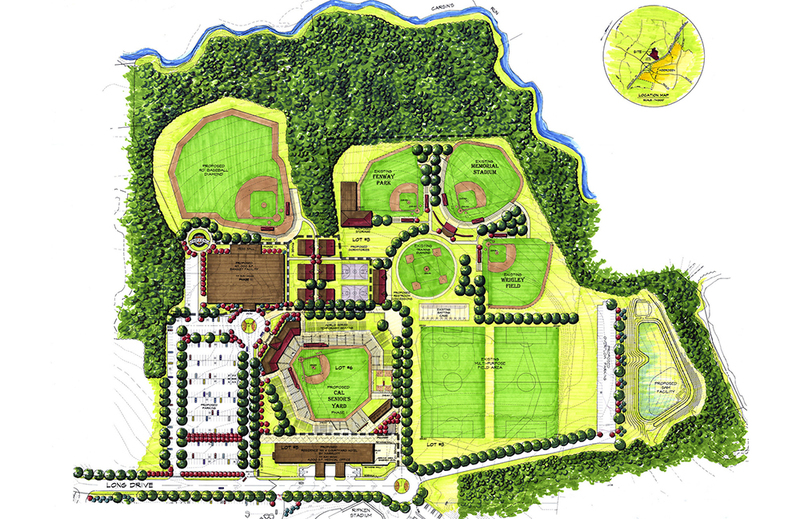 MRA provided master planning, site and civil engineering, landscape architecture, and surveying services for the 44-acre Ripken Center, which is adjacent to the Ripken Minor League Stadium. 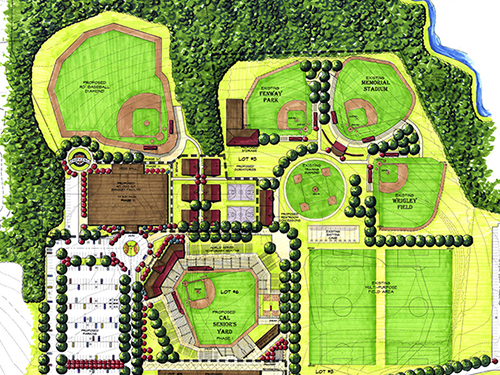 The complex includes Cal Ripken Senior’s Yard and Stadium, a 60-foot baseball diamond and 3,500-­seat stadium; a 90-foot baseball diamond (Yankee Field); a Courtyard & Residence Inn by Marriott (a brick replica of the Warehouse at Camden Yard); Ripken Youth Academy; and access drive and parking lot. The Youth Academy is a baseball camp comprised of several youth baseball fields including three that are constructed as scale replicas of existing major league fields. Camp amenities also include a multi-purpose field, open play areas, tot lot, picnic area, concession stands, and restrooms. MRA also provided master planning, structural, site, and civil engineering, landscape architecture, and surveying services for the 7-story, 155,000-SF Courtyard & Residence Inn by Marriott (a brick replica of the Warehouse at Camden Yard). 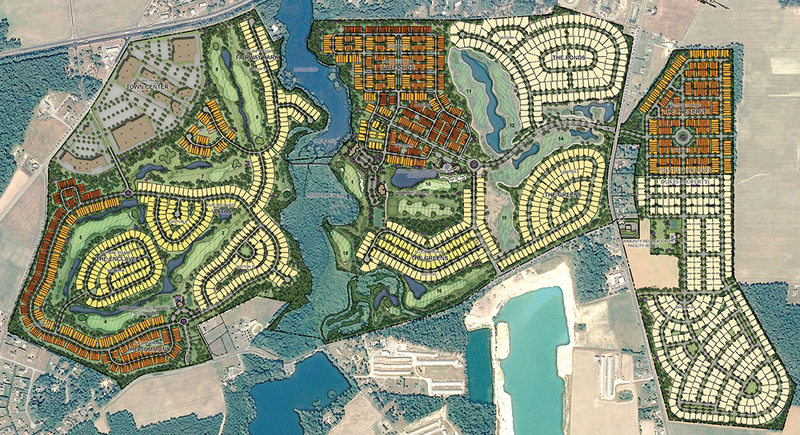 MRA is currently providing multi-phase planning support, civil engineering, landscape architecture, and surveying for a 2,531-unit Residential Planned Community (RPC), 18-hole Championship Golf Course, and 460,170-SF Town Center Commercial district centered around Betts Pond. The design for the 664-acre site implemented innovative LID elements into the design, transforming stormwater management facilities into amenities / focal points for the project, thereby enhancing water quality and improving the aesthetics of the design. 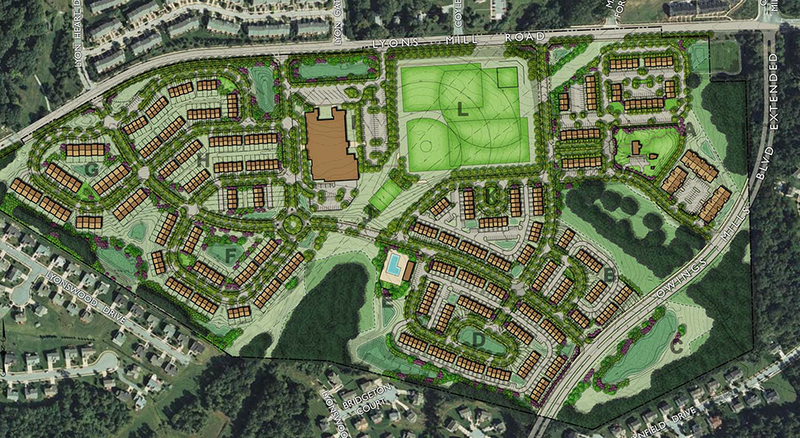 The project includes planning and design of six monumental entrances, four separate community centers, a golf clubhouse facility, miles of sidewalks and multi-modal paths, and included extensive areas of pavers and architectural concrete. In many respects, the project is like “designing an entire small Town or Municipality” with all of the associated infrastructure.